• Monday, September 26th…seeing as how I am bloated from a weekend of carb over indulging, the last thing I wanted today was carbs. Well, processed carbs. I’m cool with my carbs from fruit and veggies. I really want to shed this water weight I picked up over the weekend…the sooner the better. I wasn’t super hungry today, probably due to the overindulging over the weekend. On top of being bloated I also have horrible heartburn and super achy joints and felt almost like a hangover when I got up this morning from all the gluten I ingested over the weekend. Ugh. Not happening again any time soon. It’ll happen again, because I’ll forget how I feel right now, just not any time soon. I stuck to what I had planned to eat, except I wasn’t able to get to the broccoli due to being stuck somewhere that I couldn’t get away from at work for 2 hours. I did work overtime, so I had my strawberries and apples w/AB. • Tuesday, September 27th…the bloat is going away fast and when I put my hands on the sides of my torso, I feel less softness and more of the muscles. YAY! And, I really wanted something sweet and the first thing that came to mind was fruit. Fruit isn’t overly sweet like candy or other processed junk is to me now. So, I traded my broccoli for some fruit instead today and was completely satisfied with that decision. I did eat ONE Frito scoop with some homemade chili that reminded me of my favorite Pacific NW local brand of chili (Nalley, in case you’re wondering). But that was all. • Wednesday, September 28th…elbow still hurts a little bit from the carb bender over the weekend, but other than that the achy joints seem to have mostly dissipated. The bloat has gone down even more and I’m getting closer to where I’d like to be (well, the top end of where I’d like to be, anyway) right now with my weight as a result. Didn’t eat my broccoli yet again today. Ugh. I’ve got to eat my broccoli! Tomorrow! • Thursday, September 29th…I’ve done really good all week with sticking to the paleo way. I’m feeling so much better and the bloat from the weekend is pretty much all gone. 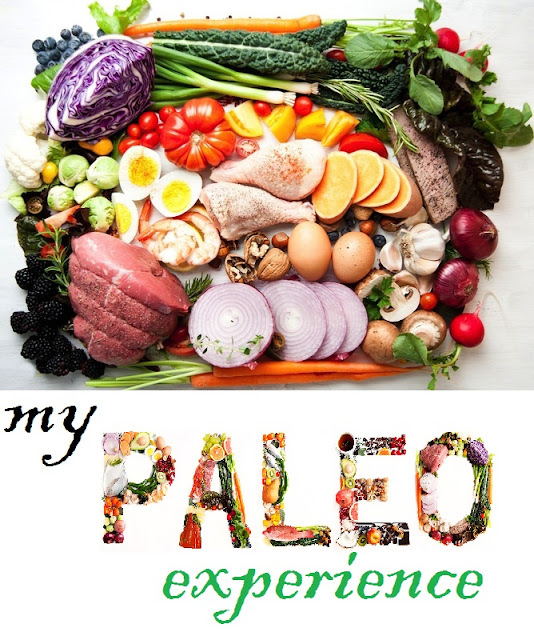 • Friday, September 30th…still going strong with sticking 100% to the paleo way. I’m not sure if I was getting a smidge sick (sinus infection) or not, but I felt a little light headed and yucky for part of the day. So, not sure if that’s due to lack of processed carbs since they’re finally all cycled out of my system now. I’m really proud of myself for adhering so well to the paleo way all week! • Saturday, October 1st…BBQ with a friend. I went to the store beforehand and got some gluten free bread to eat my brisket with (and it’s REALLY good!!! But not fully paleo as it has rice flour and potato starch in it). I did eat some of the BBQ beans, even though beans aren’t paleo-approved. And then I got a few boiled eggs to eat later in the day off the sides buffet line. I love boiled eggs. • Sunday, October 2nd…Mexican food with a friend, so there was some processed carbs eaten today. I had the taco salad, so there was the taco shell. And of course the chip basket with creamy jalapeno ranch to dip the chips in (if you live in central Texas and have been to a Chuy’s, you understand my obsession with the jalapeno ranch). Anyway, that’s my carbs for this coming week. And I have no plans with friends for next weekend, so I won’t be having any processed carbs next weekend. I’m thinking of maybe trying that paleo pizza dough recipe I found and making myself a post-long-run pizza next weekend. YUM-O! For dinner today I had 3.3 ounces of the lamb roast I’m making in the crockpot for this week’s lunches and about 14.5 ounces of strawberries. I pretty much went over my concerns in Monday’s entries when it comes to me overindulging in processed carbs. While I don’t think I’m full on gluten intolerant and I definitely do not have celiac anything, something I’ve noticed as I’ve lost more and more weight is that my body likes gluten less and less. Like I mentioned, if I overindulge I get horrible heartburn to the point where I think I might throw up. My joints are super achy and the arthritis in my left elbow flares up and so do the bulging discs in my lower back. I get bloated. Oh and let’s not forget the carb hangover I had Monday morning. Ugh. That was ridiculous. I had such a difficult time getting up and moving. I was so beyond groggy. I haven’t felt that way in I don’t know how long. And I don’t want to feel that way again any time soon. I mean, I don’t want to feel that way ever again, but like I said, I’ll forget how all those extra carbs made me feel eventually and I’ll do it again. I just hope it’s far, far into the future. Paleo fueling for my runs is going well. In fact, I find I need LESS fuel during a run, which is awesome! I have to start thinking about what I’m going to feed myself during the relay later this month (the end of next week, actually! Eek!). I know I’ll take my Epic bars and other paleo-friendly nutrition bars, probably apples with almond butter and some berries. I might see if I can find some paleo-friendly sausage that I can eat cold for some extra protein. And of course sweet potato. Well, I guess that about covers it really! Now to just keep everyone else out of my food. Haha! I do not plan to do processed carb indulging every single weekend. So, don’t be worried about me in that regard. I do not enjoy the after effects of eating that way, so it’s not worth it to do it more often than just every once in a while. I definitely didn’t over indulge like I did last weekend, so that’s good. And then, like I said, I have no meals out planned for next weekend, but if I end up meeting a friend for Indian food, I won’t get any naan (I might, however, put some butter and garlic on some slices of the gluten free bread and bake it to take with me to sub for the naan!) and I’ll get a salad (or other veggies, or fruit) instead of the rice.